Among the many online messaging apps like Whatsapp, Facebook Messenger, Instagram there is one that is worth talking about. I’m talking about Telegram, a free downloadable application both on Windows Phone, Android smartphone, Apple products, for Windows pc, Mac, Linux. It can also be accessed from a Browser by opening, however, only one card. After downloading the application from the appropriate store, we must register unless we already have a telegram account. 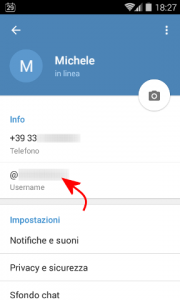 When we register at Telegram we must enter our phone number (see photo) and you can be contacted only by those who have one. Alternatively we can create a username that can be searched for in the app. To set a username or to change the profile photo, simply go to “settings”, by clicking on the “hamburgher menu” at the top left (the three horizontal dashes) or by swiping from the left side of the screen to the right. A further important difference with other messaging applications is that Telegram works through the cloud, so we will never lose synchronization with our chats, whatever the device we are using. So far we’ve always used one-to-one chats like WhatsApp. Now there is Telegram which offers dozens of much more structured and interesting services that further facilitate online communication. Telegram, like other apps, allows the user to create a group that can hold up to 200 people. However, a group can upgrade to the super group, which is very useful if the number of members exceeds 200 people. The super group can in fact hold a maximum of 10.000 people. Among other things, it’s nice to know that when a user joins a group, he can view all the history of messages prior to his access, which is not the case with other applications. For example of this group, of the image above, note the number of members (4500 users). Also note the “fixed above” message, a message on which the administrator wants to get users’ attention. 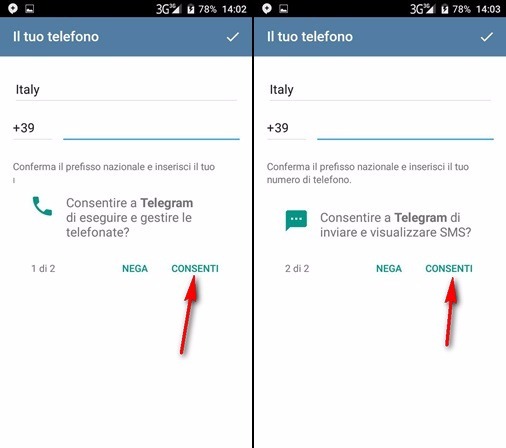 A service exclusively offered by Telegram is the Channels (Channel) that allow one-way communication to users, this means that we can only receive messages (from the channel manager) but it is not possible to reply. A channel is an excellent option to be able to give information to its subscribers quickly. They are like shop windows: you can read the contents but you cannot interact leaving messages, unlike groups. Here (https://www.telegramitalia.it/category/canali/) you can find the channels that interest you most. This is the chat I like best about Telegram. In secret chat any type of content you share with the interlocutor is destroyed after a customizable time. Moreover, if our interlocutor were to take a screenshot, the application sends us a notification to inform us. Bots are automatically managed accounts thanks to small, specially created software. They are like robots that respond to certain commands in human language. 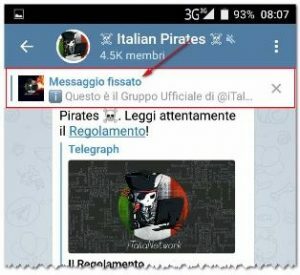 These “robots” allow you to automate operations that, in their absence, would force the user to exit Telegram and use third-party applications. As for the channels, there are many bots and it is possible to draw from them by clicking here. 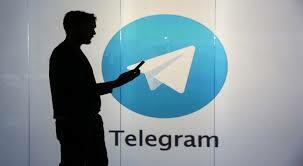 Telegram therefore proves to be an app to be really taken into consideration because in addition to communicating information of any type and of any format, it allows you to stay updated in a simple and safe way! In fact all the chats are encrypted through a 256 bit key, making them impenetrable to web pirates. Follow us on our telegram channel (@SviluppoMania_Community) and take a look at our bot (@sviluppo_mania_bot).